← What does international mindedness mean to you? 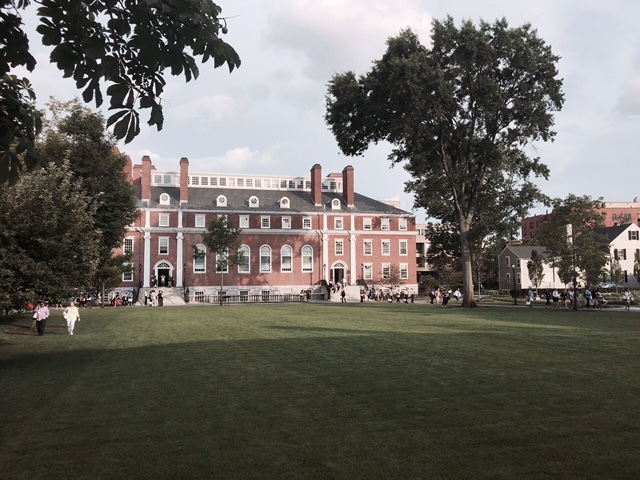 Fortunately this is my fifth consecutive year to be involved with the Future of Learning (FoL) summer institute at Harvard. Although this week comes at the end of an incredibly busy academic year as Headteacher at the Berlin British School for me this institute is like an intellectual massage that annually rejuvenates me for the year ahead. In the plenary with David Rose (CAST) he shared some examples about the failure of standardised testing. The evidence is clear that there are many influencing factors (plus the general design of tests) that make the data from many tests invalid. As David Rose shared, even the personal details that might be completed at the beginning of a test can influence performance. Everyone has an emotional history and these emotions impact test performance. Therefore we are not necessarily accurately assessing reading, writing, mathematics etc. – we are starting by assessing emotions. David Rose is well known for his work on Universal by Design and I appreciate his mindset when children are failing. Rather than focussing upon ‘What’s wrong with the student?’, Rose asks the question, ‘What is wrong with the way that we teach?’ From my perspective if we were to universally adopt this approach in schools then we would see far more evidence of effective learning, attainment, achievement and this would be reflected in positive societal changes. Thank you for the reflection on today’s Future of Learning plenary. I am not only impressed by the clarity of your thoughts, but also that you managed to write something and publish it today! My head spins when I hear experts, like Rose articulate these sentiments from the respected halls of Harvard and yet our schools system still invests enormous amounts of money and time into testing. Looking forward to another inspirational day tomorrow!